Two sisters meet up after 8 years apart. Secrets in the family are about to burst. One’s been doing time. The other has blossomed, and lives in style. Now who’s in charge? This dark comedy explodes the myths around disability, sexuality and power. Starring Rachel High of Adelaide as Chelsea and Julie McNamara, London based playwright as Steak. This was a new commission from No Strings Attached Theatre of disability in partnership with Daniel Clarke, director of Feast Festival, Adelaide. 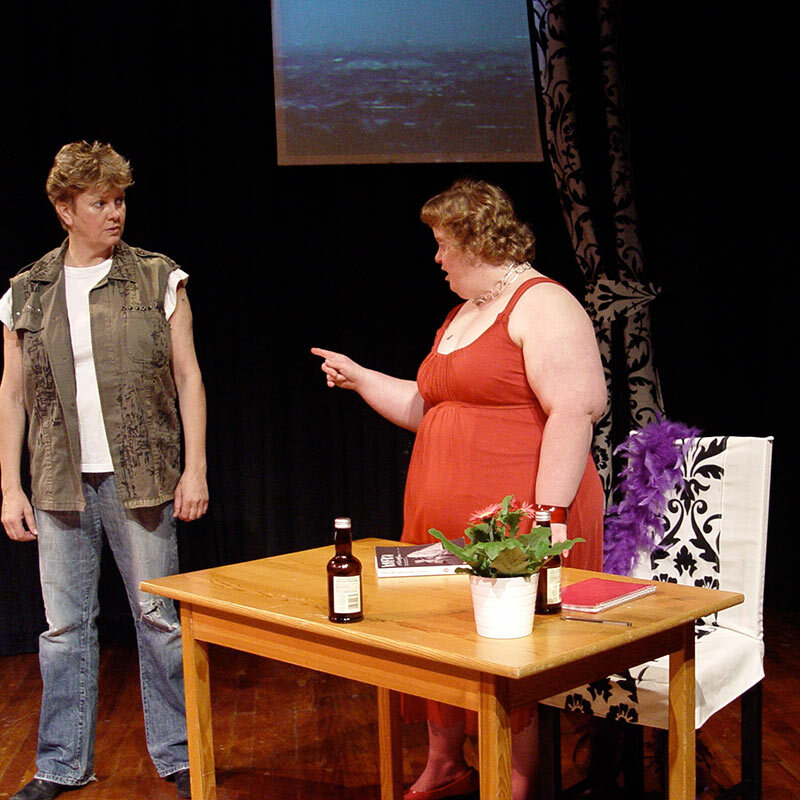 First directed by Paolo Castro in Adelaide, 2008.